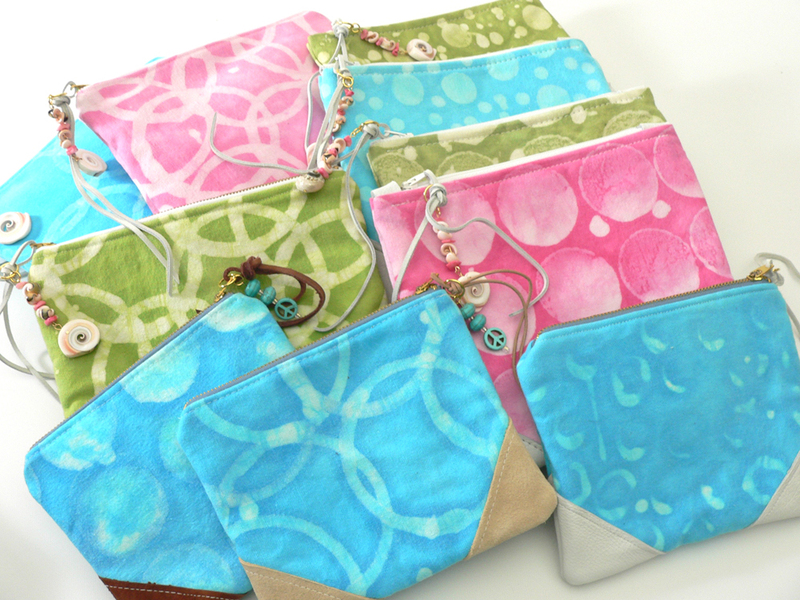 I've been adding more leather to the summery hand dyed pouches that are just waiting for their final photo shoot. Here is the stack of the little lovelies lining up for their final pics. 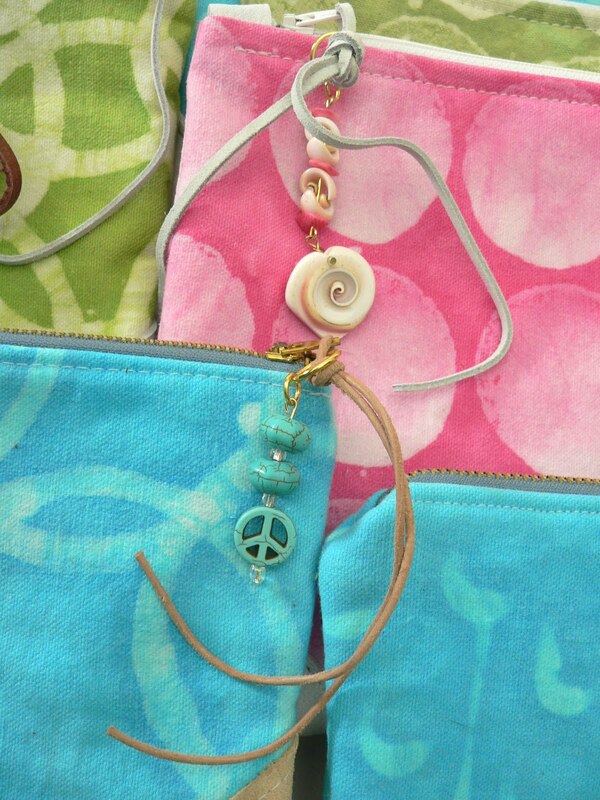 Close-up of the hand made zipper pulls made of seashells and stones accented by a leather strap. 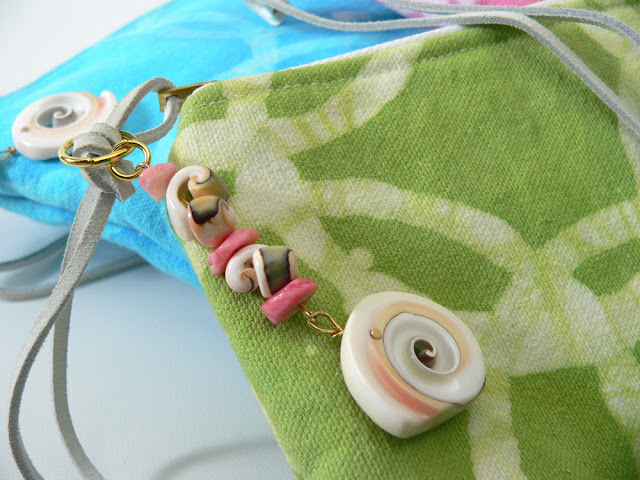 Can you smell the salty air of the sea?